Leading the region is Pierre-Jean Châlon who will expand his role to oversee both Plantronics and Polycom teams as Senior Vice President, Asia Pacific. Unified communications and collaboration (UC&C) technology company announced a new leadership team in Asia Pacific (APAC). This move uniquely positions the company to meet market needs for easier and more consistent communication and collaboration solutions. Leading the region is Pierre-Jean Châlon who will expand his role to oversee both Plantronics and Polycom teams as Senior Vice President, Asia Pacific. He will manage the company's joint business in APAC, spanning voice, video, content and cloud solutions for customers as they work, share, collaborate, and play. A seasoned sales and management leader with over 30 years of extensive experience, Châlon has been Plantronics' Vice President of Asia Pacific since 2018. He has a strong track record of success in highly competitive environments, understanding technology trends and evolving customer needs, growing both top and bottom line results in leading edge technology markets, scaling up businesses, building world-class teams and transforming both go-to-market and cultures. Prior to joining Plantronics, Châlon held several senior management roles in global technology companies and has worked and lived in the APAC region for the past 25 years. Alex Lee, Vice President, Greater China. Lee was previously Vice President for Greater China Sales at Polycom. Andrew Hurt, Managing Director, ANZ. Hurt was most recently Director of Sales for Australia at NEC. Ankur Goel, Managing Director, India & SAARC, India. Goel was previously Director of Commercial Sales and Head of Channels for India at Polycom. Nobuyuki Koike, Country Manager, Japan. Koike was previously Country Manager for Japan at Polycom. Samir Sayed, Managing Director, Southeast Asia, and Korea. Samir was previously Regional Sales Director for Southeast Asia at Polycom. "We are extremely proud of our leadership team appointments in APAC that will drive the growth and innovation of the combined company. 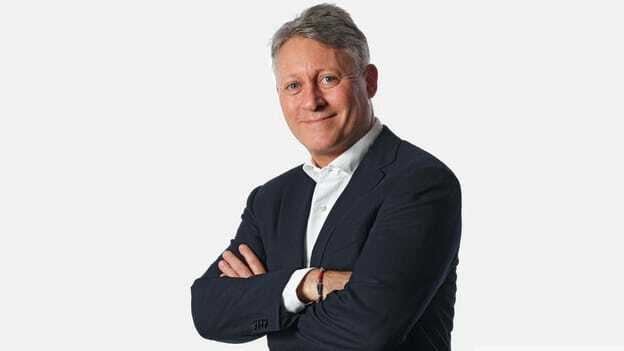 Pierre-Jean, who is a respected industry veteran with decades of successful leadership roles across the region, is a great choice to head up the joint business for Plantronics and Polycom in APAC. He will continue to grow our business in the region by driving strong partnerships with our customers and partners," said Jeff Loebbaka, Executive Vice President, Global Sales. "It is an exciting time to be in the UC and collaboration industry. Gen Z, the tech-savvy new generation who is entering the workforce, is changing the way we work, communicate and collaborate. Better productivity and team collaboration continues to be a priority across industries in APAC, as organizations continually look to implement smarter and more efficient ways of working. Plantronics is well-placed to capitalize on these opportunities," said Châlon. Plantronics has a significant presence in Asia Pacific, with multiple offices in Australia, China, India, Indonesia, Hong Kong, Japan, Korea, Malaysia, New Zealand, Philippines, Singapore, Taiwan, Thailand and Vietnam.